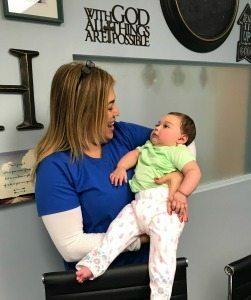 Pediatric Nursing Care South Miami FL-Providence Healthcare welcomed a wonderful little patient at our office today. Our office staff was thrilled to meet her and we were able to experience first-hand the special bond that she has with her nurse. This is why we do what we do!